Here’s another great post full of fab top tips how to make small spaces in our homes seem bigger and brighter. Enjoy! Due to the growing population and increased number of people living in the cities, space is at a premium and people are finding it increasingly necessary to live and work in more confined situations nowadays. Spaciousness is something that is regarded as a luxury for most, only available to the super rich or rural dwellers. For those people who wish to live in urban, built up areas, homes seem to be constantly shrinking, designed with smaller rooms and less space than ever before. Even though there is less actual space, there are many ways in which you can use innovative and practical ideas to create the illusion of space in this type of home, reduce clutter and organise your living space to make the most of it, relax and enjoy your surroundings. Although we often find that being in smaller places can feel confined and uncomfortable, there are many ways in which you can utilise different interior design concepts and tricks to create the illusion of more space and make your area more comfortable and appear larger. Through clever use of furniture arranging, lighting, colour and organisation you can add the appearance of space to even the most cramped conditions. Here we will look at some of the easy and simple ways in which you are able to achieve this look. Obviously the items which take up the most space are the furniture, yet you can’t simply get rid of all your furniture so you need to be a bit savvy about how you choose and arrange the items in your room. Multi-function furniture is the best option for smaller spaces so that you can reduce the amount of items you need to buy without having to forgo any essential pieces that you might need. Some examples of this type of furniture would include coffee tables that are in the style of chests and be used for storage, sofa beds, extendible/fold down dining tables and nested tables. These are all brilliant ways in which you are able to reduce space by using furniture for multiple functions. Try Alstons furniture from shop4furniture website, if you are thinking to replace or buy new furniture for your living room area such as sofa beds. Placing large pieces of furniture along the walls will keep the centre of the room free of clutter. This will work especially well if you can try to choose some of the furniture to match the same colour as the walls. Making them blend in will open up the room even further and extend the perceived floor length and room width. If you feel this may be too boring, you can add stencilling and art to make the furniture stand out with interesting features. 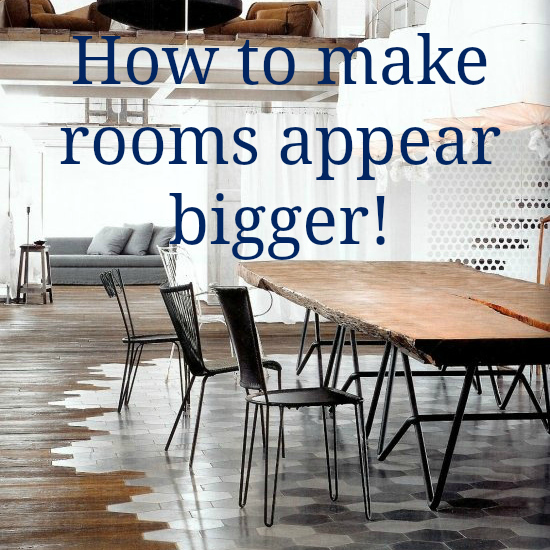 The more floor space you can see will help the room to appear more spacious as a whole. As you break the space with different items it begins to look smaller and block walkways. Never cover windows with any large pieces of furniture and make sure that if they are next to a window, they are in no way covering shadowing the incoming light. Tables, coffee tables and seats which have glass tops will create more light and bring more under the furniture and brighten the room. They will also provide the visual space and open appearance that helps the room to appear bigger than it is. It may seem basic and uninteresting, but lighting is a very powerful tool in creating different perceptions of space. Lighting is a key in opening up closed spaces and creating the airy and fresh feeling that you require for feeling comfortable in your space. Natural Light – Always try to make the most of any natural light that enters the room as this is probably the easiest and simplest way to add the illusion of space. Try to acquire height windows and reduce the size of any curtains or furniture that is blocking the light from entering fully. Curtains should be light coloured in order to keep the lines of the walls and windows long and bright. Full size window allow for inside/outside barrier to be reduced and gives people an extended view to reduce and feelings of confinement. Halogen light bulbs are the best alternative to natural light and work well to keep the atmosphere and ambience in the room light and airy. Keeping the room tidy and organised will help to make sure that you don’t fill up the space with unnecessary items and lose the little free space you actually have. By items in selected locations which have a structure and discipline will keep them out of sight, thus leaving the room in an orderly and clear manner. It is important to make sure that you don’t over accessorize the room with too many decorative items. Pillows, throws, art and ornaments are a lovely way in which you can add colour and beauty to your room, though too much will start to create a cluttered and overcrowded feel. Covering your walls with lots of different artwork and pictures can often result in a messy, overcrowded appearance. Try to limit it to one large piece of art on one wall and keep the space available on the wall to make the room look larger. Mirrors are an excellent way in which you can add the illusion of further space. Positioning mirrors in such a way that they are angled towards focal points in the room will help to use light reflections to increase the depth of the space. Light beams rebound around the room giving the space a larger and more airy appearance. Through the use of these clever tricks and techniques you will find it easy to create the illusion of more space in a small room. They will enable you to make even the smallest of rooms appear larger and more spacious in no time. 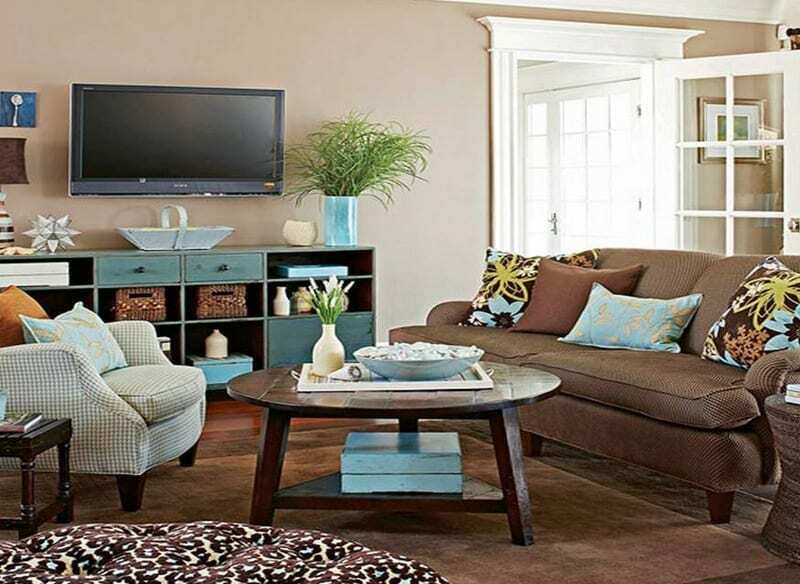 One of the most common way to make your room looks bigger is proper arranging of home furniture and always leave space especially in living room. I always think carpet closes a room a little whereas wooden floors really seem to open them up. I think you’re definitely right about furniture breaking up a room and making it seem smaller. It’s all about open spaces!! This is a very nice write up. Thanks for sharing this. I think we should really get rid of unnecessary things or furniture for the room to look bigger. And Joan is right about open spaces. And I agree with you about lighting. I also believe that proper lighting will make the room seem bigger as well as enhanced.